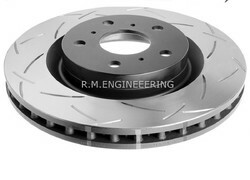 RM Brake Rotor makes standard and specialty medium and heavy-duty rotors (brake discs) for the aftermarket and OEM. We have most of the common part numbers produced by our major competitors that are used on trucks and buses. We also make specialized rotors for racing and performance applications that use similar braking technologies as the heavy-duty industry due to their extreme-duty requirements . 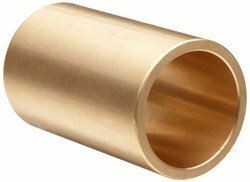 We are manufacturing Bronze Bushing as per customer requirement and specifications, which is available in various sizes and types such as metric and imperial. It is reckoned for high performance and durability. In addition to it, we also offer Silent Block Bushes that are made using premium grade tubes and rubber. The tubings are available in either seamless or HFW finishes. Owing to their quality and less susceptibility to corrosion, these bushings are in high demand in the market. Apart from this, we also offer Bi-metal Bushing. Our organization engaged in manufacturing of wide range of Brake Disc for Truck such as automobile brake disc, drilled brake disc, disc rotor, disc brake, rotor, brake drum, drum, drum brake, auto components, auto parts, solid brake disc, ventilated brake disc etc. These are manufactured from high grade of raw materials that are sourced from well recognized vendors. 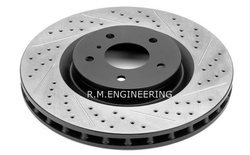 We have come up with unique range of Brake Disc, designed as per the exact requirement of clients. These brakes offer safety and high performance. Our experts are having designed these brakes especially for heavy industrial and mill duty applications. We are the leading manufacturer and supplier of the high quality of the Vented Disc. Our performance brake rotors pick up where your stock brake rotors leave off. Featuring the same cutting-edge designs used on racecars, these drilled, slotted and drilled and slotted rotors turn your stock brakes into lean, mean stopping machines. 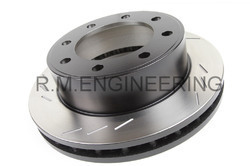 Vented Brake Disc for Export are an important part of the braking system, they provide a surface for the brake pads to work against. They rotate with the wheels and allow the braking force to operate on the tyres causing the car to slow down. Evidently they do this using friction caused by the brake pads being clamped on to them, a biproduct of friction is heat, a lot of it. Energy is converted from one type to another, in this case movement energy is converted into braking and heat. Obviously the more you brake the more heat is created.You may think that brake discs can handle very high temperatures and they can, but there is no use having brake pads that can handle very high temperatures if your brake discs overheat and crack well below those temperatures, and by the same theory there's no point having huge expensive discs on a car that won't warm them up. A disc stores and radiates the heat caused during braking, the brake pad creates the heat, it doesn't really hold anywhere near as much heat energy as the disc itself.